Spread across 5 acres of lush green land. Located in Sector 62, the undisputed heart of Noida. I-Thum offers unmatched Location advantages and commuting options. Nearby Sector 62 metro station. Central atrium with meeting facility etc. Grandslam i-thum is a world class commercial project based in Sector 62, Noida. The prime location, modern designs & layout, amenities, specifications and in a least not the last, presented by the developers of iconic Corenthum, the project has a lot of attractions in Noida. The project will deliver a revolutionary office space, which blends the workplace and its employees in harmony. Each unit of the complex is meticulously planned to cater 24×7 stress free working environment. Assisted by modern day amenities and high-end specifications, Grandslam i-thum will gain an unmatched status in Noida. Sweeping across 5 acres of area, the project is flanked by good connectivity by various modes of transport. In a short in the arm, Grandslam i-thum will also have the huge advantage of the upcoming metro station in just stone’s throw away from the site. Alphathum is a new revelation with biggest infinity rooftop pool, world class office spaces set in an unbeatable location promising multiple modes of connectivity. Alphathum is updated as an upcoming commercial development to be launched in sector- 90 of Noida. Bhutani Infra is planning and organizing to develop a commercial spot with various spacious segments for your business planning in the real time period. Noida is a pre- planned hub of numerous real estate depictions in divergent suburbs at present. Noida is now spurting to be a renowned realty destination of National Capital Region. This emerging region is being encrusted with innumerable real estate developers. Spanning with commercial developments on a large scale , this metropolitan is getting in shape and transforming to be the center of attraction in the future. Northern realty seems to come up with numerous exceptional depictions and extensive outputs. Initiating with Bhutani Alphathum Noida, this commercial undertaking provides the key number of options to grab in the real time. This may be the fine and favorable investment and a business space as an asset currently. Developer has warehoused a number of options available of alternate configurations to reserve. 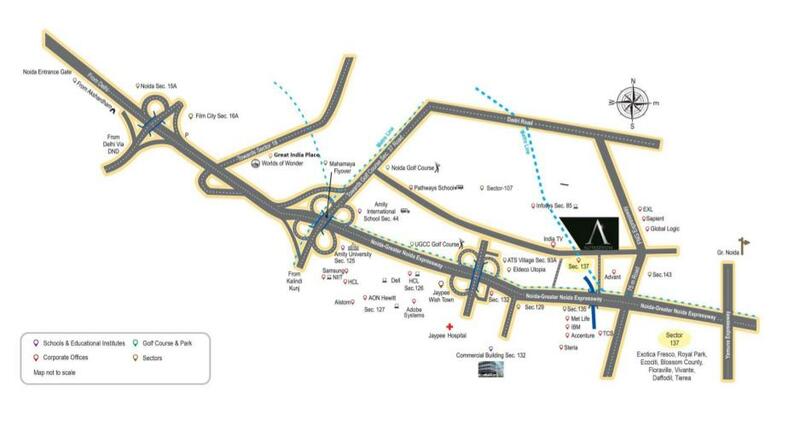 Shift your planning in to the top gear and reserve a desired commercial space in Alphathum. For the core commercial development and to extend the commercial developments in National Capital Region, incalculable real estate developers is getting up to the mark with number of innovative and enormous corporate, retail and office spaces in the real time. Bhutani Alphathum will be incorporated of the key number of necessary element in future. Location of this commercial development is the developing spot of numerous benchmarked residential undertakings and other huge infrastructural developments such as proposed metro project, expressways , highways etc. As per the current status of the project, Alphathum Price list is starting from 31.86 Lacs and goes up to 50.91 Lacs. This commercial spot will be in reach through the nearby road transits such as- Noida- Greater Noida Expressway and number of other closest loops to migrate in alternate directions etc.